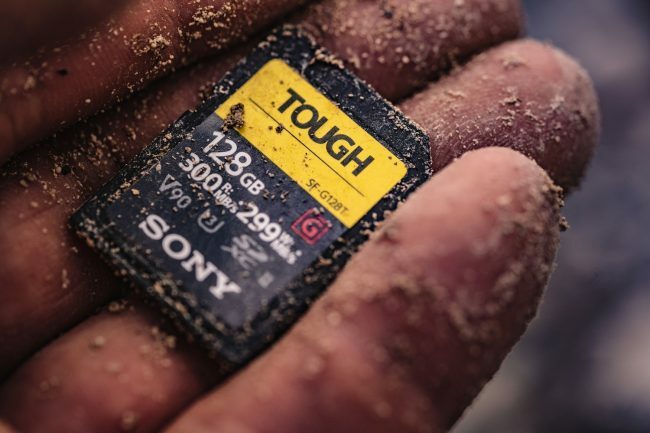 Sony India has expanded its range of SF-G Series with the launch of World’s toughest SD card – UHS-II SD card. This SD card is ideally suitable for professional photographers, DSLR and mirrorless camera users and videographers. The new UHS-II SD card is claimed to have the world’s fastest read and writes speeds with an ultra-rugged design that is bend proof to 180N and drop proof to 5 metres. It is also waterproof with an IPX8 rating and dustproof with an IP6X rating. According to Sony, the new SF-G series TOUGH specification range of SD cards are 18 times stronger than the SD standard with world’s first monolithic structure (one-piece moulding, no empty space in the card) and materials of high-grade hardness, unlike conventional SD cards with a thin, 3-part ensemble. They are protected against typical physical damage that can affect conventional SD cards such as a broken plastic casing, broken data protection lock and broken connector ribs. This SD card is the world’s first rib-less SD card with no write protection switch. It ensures complete safety courtesy sealed one-piece moulded structure and its rib-less, switchless design keeps Images safe and guards against drops, bends, water and dust. The new SF-G series is equipped with the world’s fastest write speed of up to 299MB/s. It also supports V90, the highest standard of video speed class, making it an ideal companion for shooting high resolution video. Transferring high capacity photo and video files is made simple with the SF-G series thanks to a read speed of up to 300MB/s. SF-G series SD cards also has features of ‘SD Scan Utility’ which allows the user to check that the card is in good condition and File Rescue Software which can recover data and photos that might have accidentally been deleted. Furthermore, SF-G series SD cards are also X-ray proof, magnet proof, anti-static, temperature proof and feature UV Guard. These SD cards are available in two variants of 64 (SF-G64T) and 128GB (SF-G128T) at Rs. 13290 and Rs. 24590, respectively at all Sony Center, Alpha Flagship stores and major electronic stores across India.